Findings from Korn Ferry’s Global Talent Crunch study has revealed that there is a potential talent deficit of 47 million workers in Asia Pacific by 2030. In Singapore, the talent shortage stands at more than 1 million workers, with a potential loss in annual revenue of 106.8 billion by 2030. Across the manufacturing sectors in the 20 economies analysed, Hong Kong and Singapore will be hardest hit. By 2030, Singapore may face Level A labour shortages equalling more than 61%. In contrast, India stands out as the only country in the study that can expect a talent surplus, expected to reach 245.3 million workers by 2030. In fact, India is expected to overtake China to become the world’s most populous country in the next six years. India’s median age is predicted to be just over 31 by 2030, meaning it has a vast supply of working-age citizens. 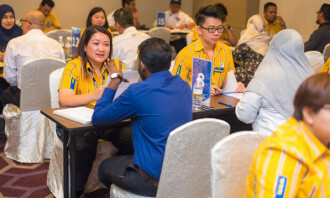 “Companies must work to mitigate this potential talent crisis now to protect their future,” said Michael Distefano, president, Korn Ferry Asia Pacific. “Left to run its course, this shortage will severely impact the growth of markets across APAC, with an imminent talent deficit of more than 12.3 million workers by 2020, rising to a shortage of 47.0 million workers and $4.238 trillion in unrealised annual revenue across the region at 2030,” he continued. In fact, of the markets in the study, the five with the most significant talent crunch as a percentage of their economies—Hong Kong, Australia, Japan, Singapore, and Indonesia—are all found in the Asia-Pacific region. On a whole, Asia Pacific faces an imminent labour shortage of 12.3 million workers by 2020, rising to 47.0 million by 2030 at an annual opportunity cost of $4.238 trillion. 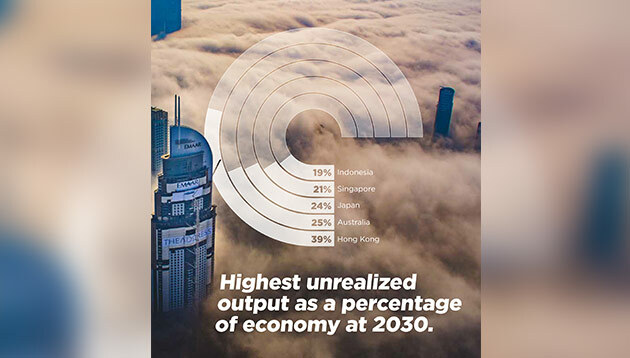 Not only that, technological advancement across all sectors of the Asia Pacific economy could be hindered by an acute talent shortage of 2.0 million TMT workers, at an annual opportunity cost of more than $151.60 billion by 2030. 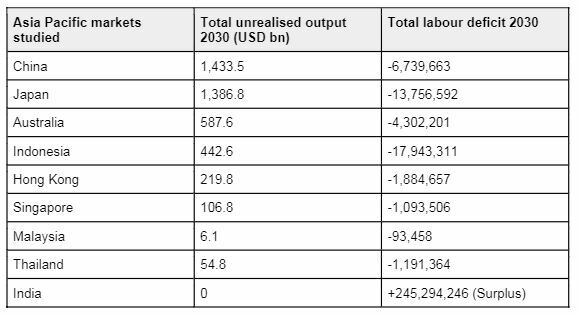 Meanwhile, financial and business services will be hardest hit across the region, with a deficit of 3.7 million workers by 2030, resulting in an annual opportunity cost of more than $439.62 billion if labour shortages are not addressed. 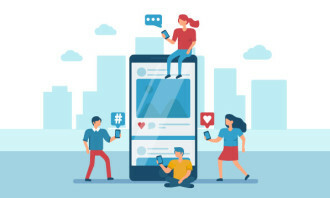 “Mitigating the talent crunch requires a fundamental redefinition of the social contract between individuals, organizations, and governments. The future of work doesn’t just require different skill sets, but entirely new ways of working,” it said.